Reg $190. 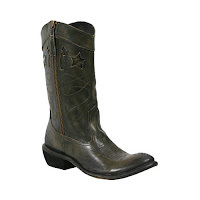 Decorated with stars and arrows, with a convenient side-zip, and the leather has a varied patina that makes the boots look lived-in right off the rack. From Steve Madden.